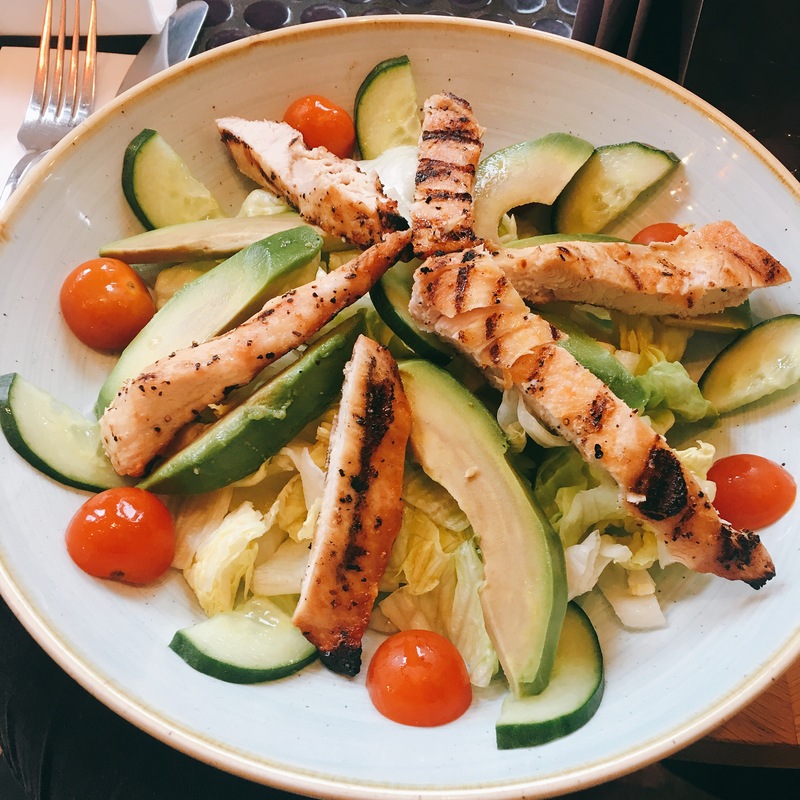 I have been feeling really positive about it – having enjoyed it a lot more this time round, feeling the effects of it, experimenting with my meals and actually making me fall back in love with blogging. 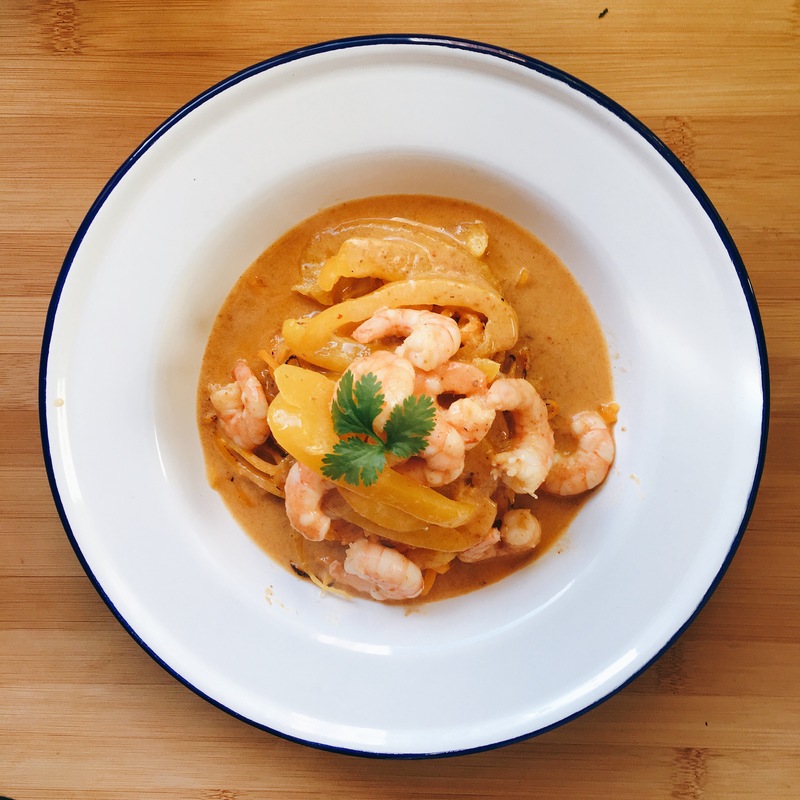 I’d hit a bit of a wall with content – posting on Instagram is quite easy but thinking of content when you’re not going out for dinner all the time can be quite difficult. I’ve had a few light bulb moments during Whole30 which has helped me get back on track. The last stint was interesting, spending a week in London. I really tried my best to stick to the plan but when restaurants put things in their meals that they don’t put on the menu it makes it a little bit tricky! 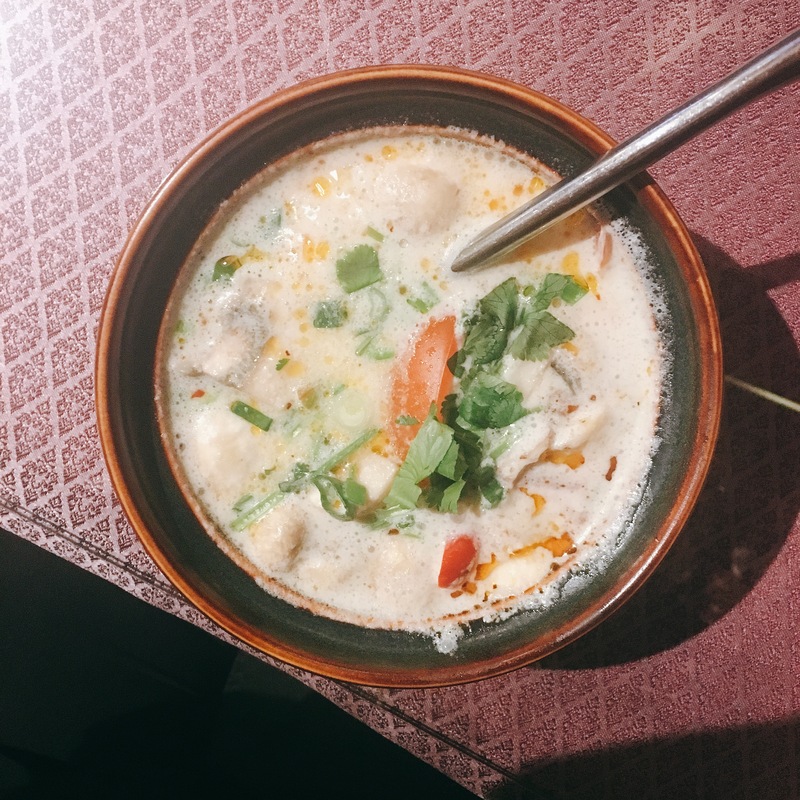 A highlight was this Tom Kha soup from Mai Thai in Wimbledon. 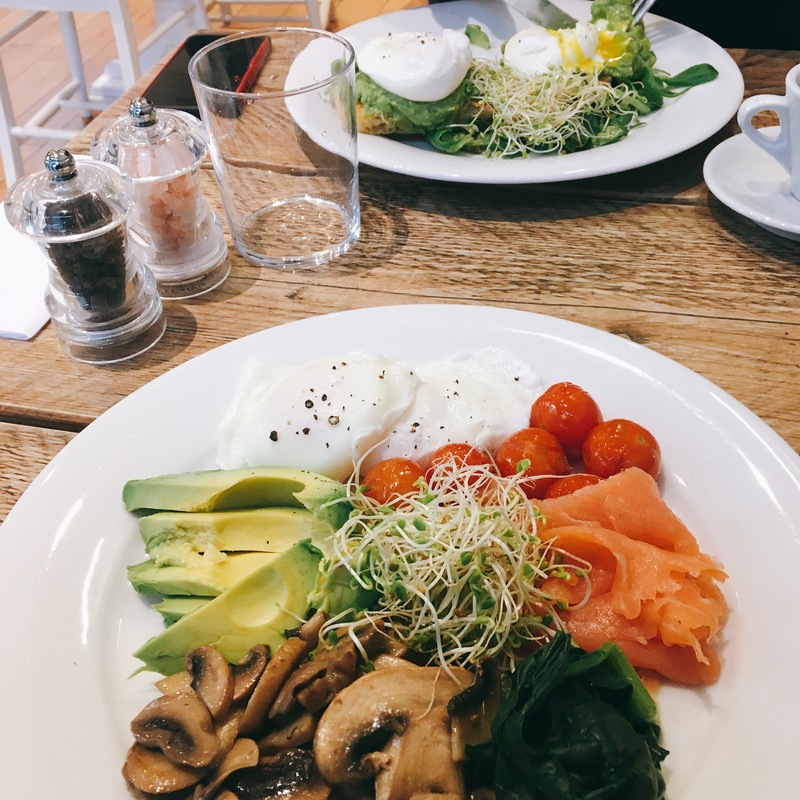 I lucked out at the hotel I stayed in – it was attached to Lu’Ma which is a clean eating cafe and they served up the most amazing clean breakfasts every morning! 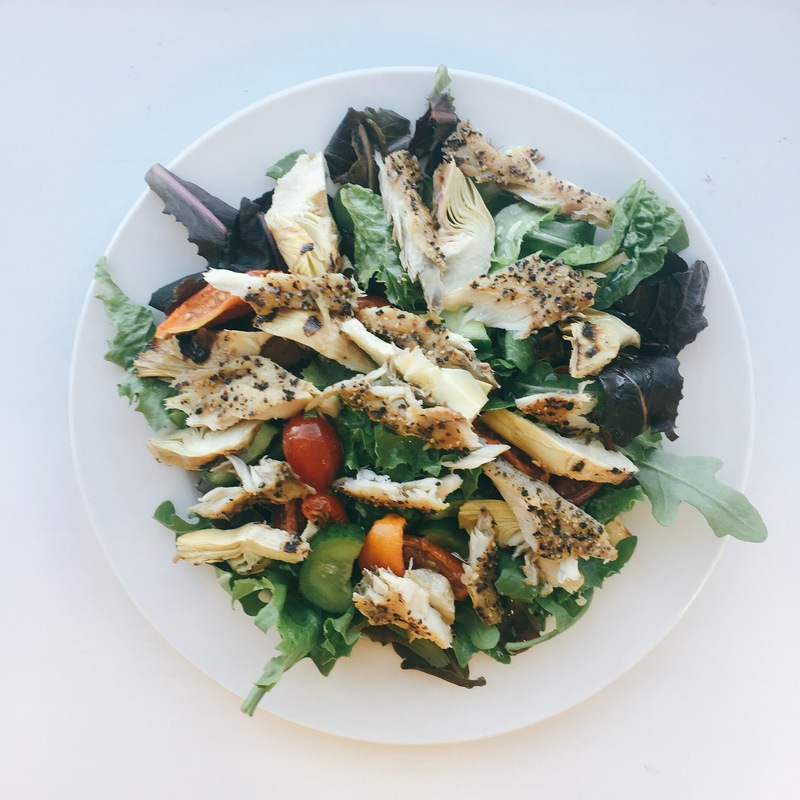 My salads have been a bit more inventive and I’ve tried to stay away from eggs and avocado for want of not eating the same thing day in, day out. Curries have definitely got me through the past four weeks – big in flavour and relatively quick to make. Team with spinach or boodles. I’ve always subscribed to the thinking that it’s hard to eat healthy – that bad food is quicker, cheaper and easier. It’s not. It’s more convenient, yes, but making healthy choices can be quicker, easier and cheaper. 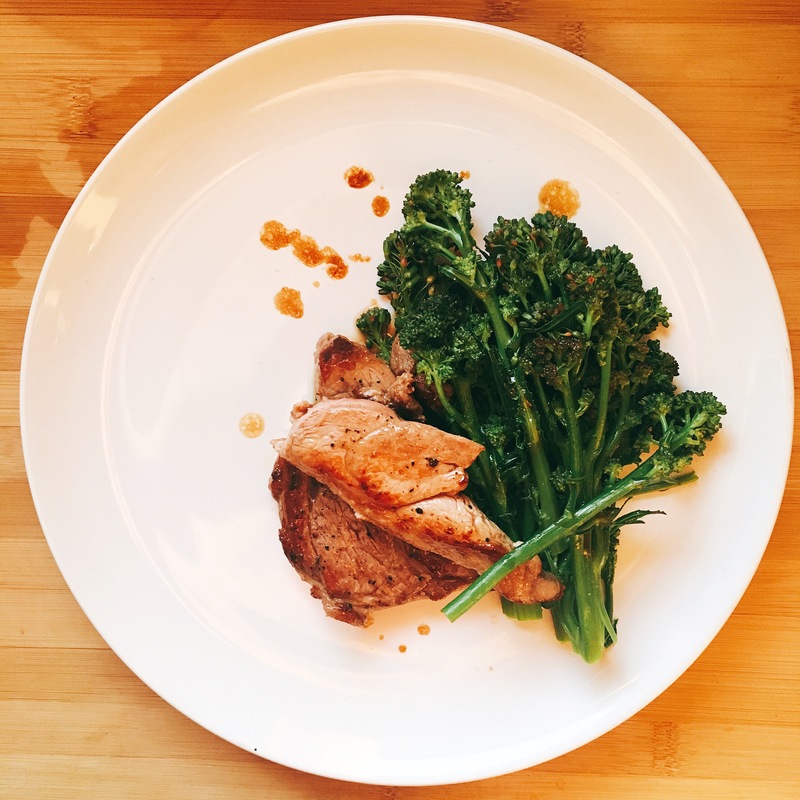 This dinner took no more than seven minutes to prepare and cook. SEVEN MINUTES. Some boodles (butternut squash noodles) and pesto take about four minutes. It’s totally achievable. Despite a week in London and having to use a bit of artistic licence whilst eating out for four days (plus drinking!) the results have been good. Overall, I’ve lost 10.5 inches (arms, legs, bust, waist and hips) – the gym will have helped with that as I mostly lost inches from my thighs. I’ve lost one stone and 2lbs (7.25kg) which I am trying to be happy with. Having put on so much weight before I embarked on this, I was hoping for more but I need to just be proud of myself for lasting 31 days and for the willpower involved with that! I have definitely felt the benefits of this round and so I do plan to take some elements of this forward. I’ve noticed that I am really bad for BLTs – no, not a bacon sandwich – bites, licks and tastes. I nibble everything while I’m cooking and eat things from the fridge just because I can! I’m actively going to stop doing that. I’m going to aim to do 3 days whole and 3 days off with a buffer in the middle – perhaps a veggie day? I’ve still got a way to go to get back to ‘me’ and I’m going to keep working at it!